Even if we are not always consciously aware, the world is going through a radical transformation that has never been seen on the face of the planet. Many businesses are missing out on important trend that can help their businesses grow faster. The Fourth Industrial Revolution, or more aptly named Industry 4.0, is characterized by a wide variety of things including cyber-physical systems, cloud computing, and cognitive computing, among others. After hours appointment scheduling has become a key tool for many businesses growth plans in relation to Industry 4.0. Nevertheless, most of these are being pushed forward by another trend called the Internet of Things (IoT). In short, the IoT is a network of all sorts of everyday devices. They are fitted with software, sensors, and electronics that allow these devices to connect and exchange data between themselves. A rough estimate points to 8.4 billion such devices existing in 2017. By 2020, that number is expected to reach 30 billion and a global market value of $7.1 trillion. More importantly to online appointment scheduling is that 55% of homes are going to be “smart homes” by 2021. What this trend shows, however, is that the way we used to do things until recently, is changing. What’s more, we may not even be aware of how fast or widespread this revolution is. It virtually applies to almost everything we do and how we do it, including how we talk to friends, how we consume the news, how we commute to work, and even how we make appointments. Online booking may seem like a minor detail about how you run your business. It is one that can make a huge difference in how you engage with your customers. Some service industries are wholly dependent on appointments, and these are some statistics they should know. For starters, online bookings grow by a whopping 30% month over month. What this trend shows is that consumers are becoming more accepting of online scheduling with every passing day. What’s also interesting here is that 11.9% of the time a person clicks on the “book an appointment” button, it results in a scheduled appointment. Not that long ago, customers made appointments solely over the phone. It meant that after 5 o’clock, all business had to wait for the following day. However, statistics show that in today’s world, only 60% of bookings happen during business hours while 40% happen after hours. People may not have the time or possibility to call for an appointment while at work, and they leave it until after they get home or during the weekend. 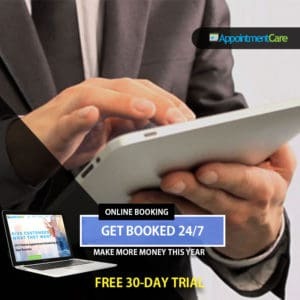 Customer-appointment management scheduling software like AppointmentCare enables businesses to now book 40% of appointments that they would have missed on, otherwise. Statistics also show that customers make two-thirds of their online appointments over their PCs. While the remainder is on mobile devices such as tablets or smartphones. It means that to take full advantage, you need to make sure that your booking software is mobile friendly. Another exciting piece of information is that women book 68% of online appointments, and they do it 44.8 hours ahead of time, on average. While these statistics don’t show that customers are entirely drifting away from phone bookings. They do show a growing trend in appointments made online. It means businesses should adopt an multi channel approach to the scheduling customers. 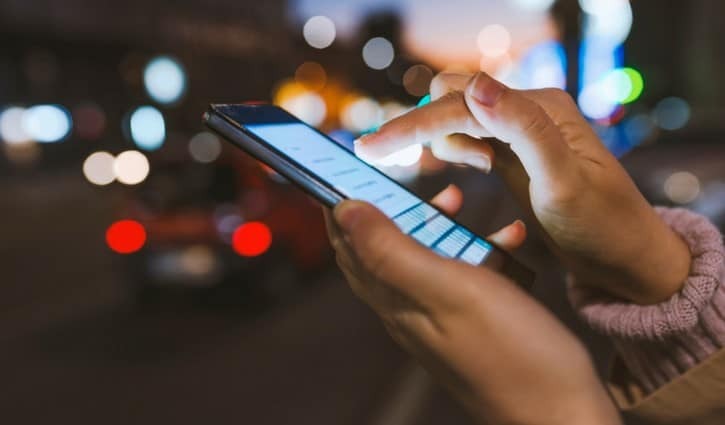 Where both calls and online tools should be used together, and complement each other for maximum customer connectivity and convenience. AppointmentCare offers a wide range of features that can be customized to fit the needs of any business, regardless of industry. For more information, contact us directly or go for our free trial.